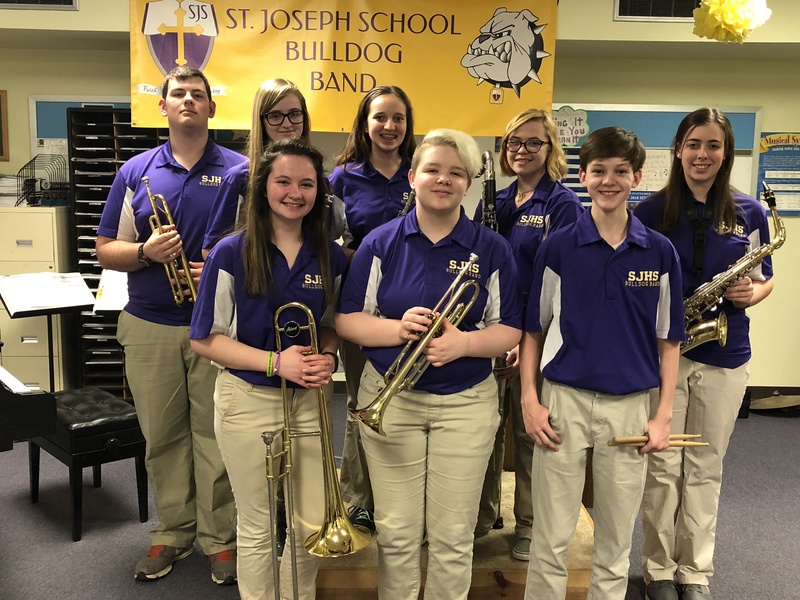 The band program at St. Joseph Catholic School allows a student to discover the God-given talent of music by learning to play a band instrument. Not only will the child get personal satisfaction from the joy of playing music, but can also through hard work, obtain a college scholarship playing that band instrument. 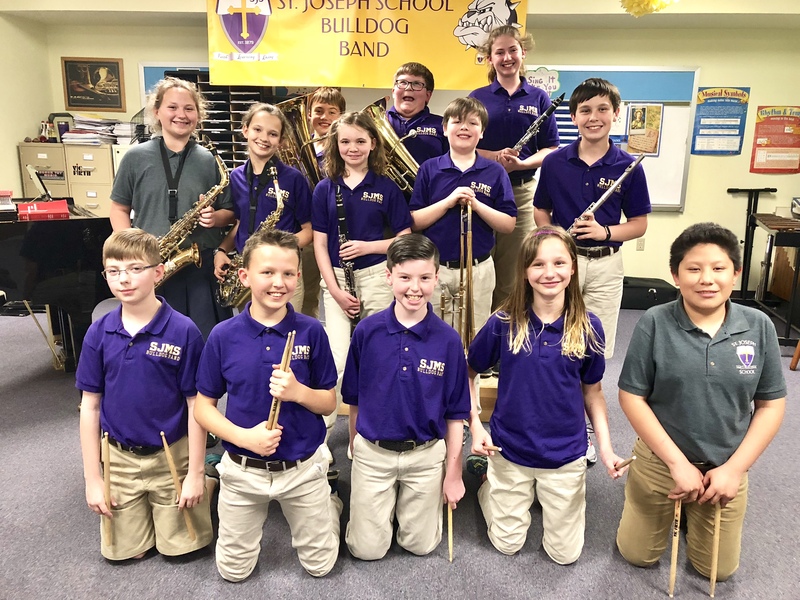 At St. Joseph Catholic School there are several levels of band classes. At this time there is a beginner’s class and our long term goal is to incorporate intermediate and advanced classes. Our beginners start in the 5th grade, but can also start in the 6th or 7th if necessary. As our program grows our students will play at concerts, pep rallies, athletic games, music contests, and other types of events.